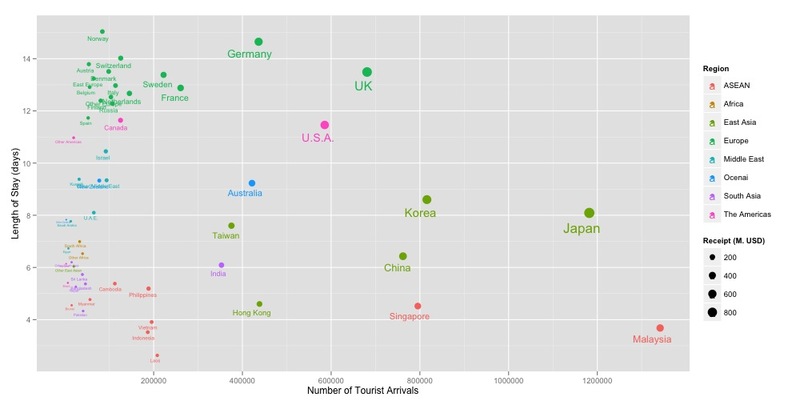 Inspired by Mages’s post on Accessing and plotting World bank data with R (using googleVis package), I created one visualising tourism receipts and international tourist arrivals of various countries since 1995. The data used are from the World Bank’s country indicators. To see the motion chart, double click a picture below.